Welcome to the STICS website! 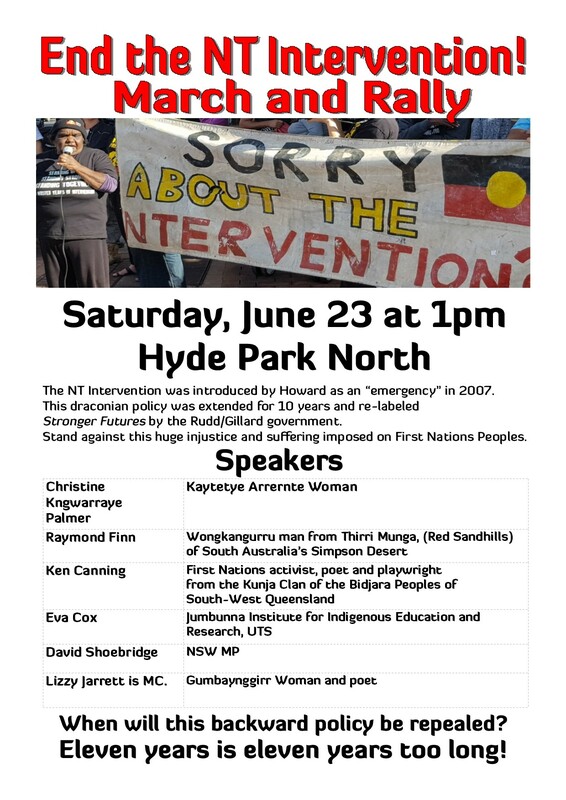 STICS (Stop the Intervention Collective Sydney) is an open collective of Aboriginal and non-Aboriginal people committed to the repeal of the NT Intervention and the struggle for Aboriginal self-determination. The NT Intervention was introduced by Howard as an “emergency” in 2007. This draconian policy was extended for 10 years and re-labeled Stronger Futures by the Rudd/Gillard government. Stand against this huge injustice and suffering imposed on First Nations Peoples. When will this backward policy be repealed? Eleven years is eleven years too long! "10 years since the Federal Government Intervention and everyone needs to remember that we experience the failings of that invasion every day." 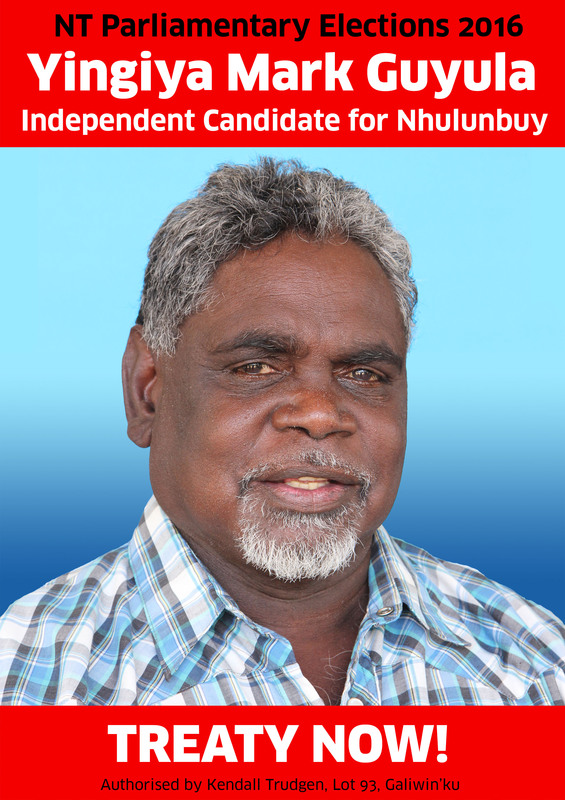 Very passionate about Aboriginal issues and a big believer in equality for all in all instances. 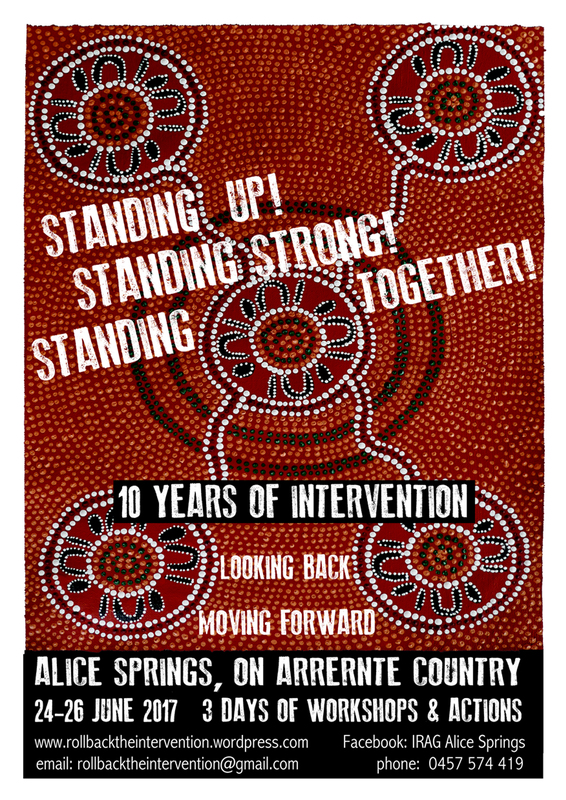 The sudden and brutal upheaval of Aboriginal people’s lives in the Northern Territory in June 2007 by the Howard Government called the “Intervention” & its extension in 2012 by the Gillard Government for 10 years the so-called “Stronger Futures” has caused widespread havoc and distress. • Child removals have increased; children are not safer. This racist, paternalistic policy denies First Nations peoples their Human Rights and is maintained by both major parties. 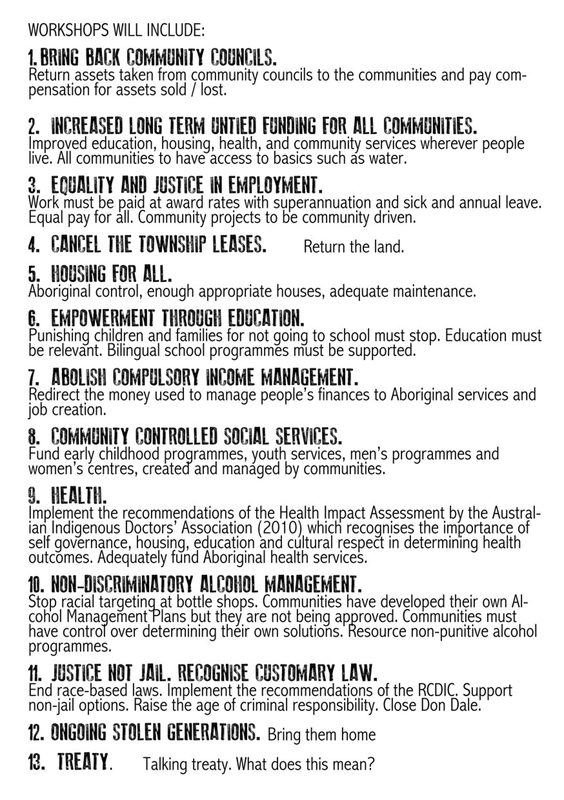 It must be repealed and First Nations peoples be given the right to self-determination and build their own future. RSVP: Registration essential, click here. The Northern Territory Intervention, launched by John Howard in June 2007, was the biggest attack on Aboriginal rights in many generations. The Australian Army was sent into Aboriginal communities and the Racial Discrimination Act was suspended to push through a host of draconian measures to allow the Commonwealth to take control of Aboriginal people and their lands. 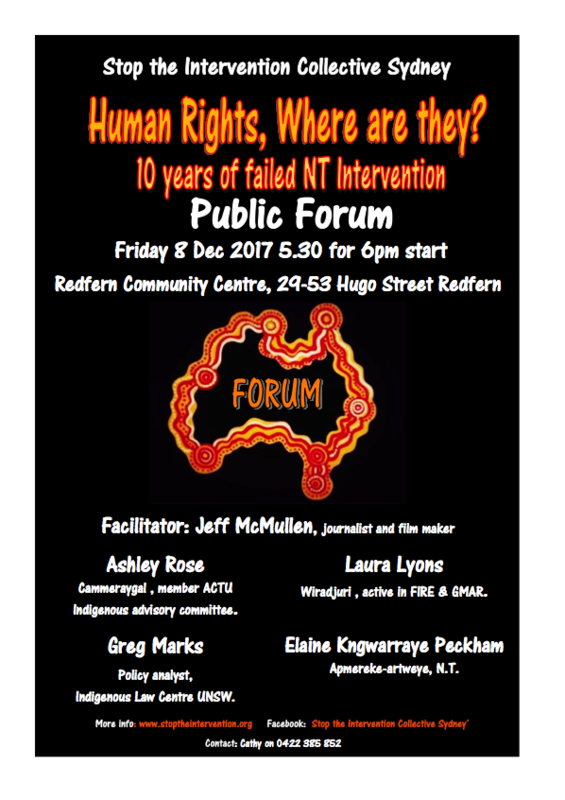 A decade later, the Intervention has disappeared from public debate, but Aboriginal communities continue to deal with severe breaches of their human rights. Many of the measures remain in place, extended until at least 2022 under ‘Stronger Futures’ legislation. Conditions in communities have deteriorated, with many social indicators such as rates of incarceration, child removal, attempted suicide and school attendance going backwards. Intervention policies such as the quarantining of welfare payments and withdrawal of resources from remote Aboriginal communities have spread out across Australia. 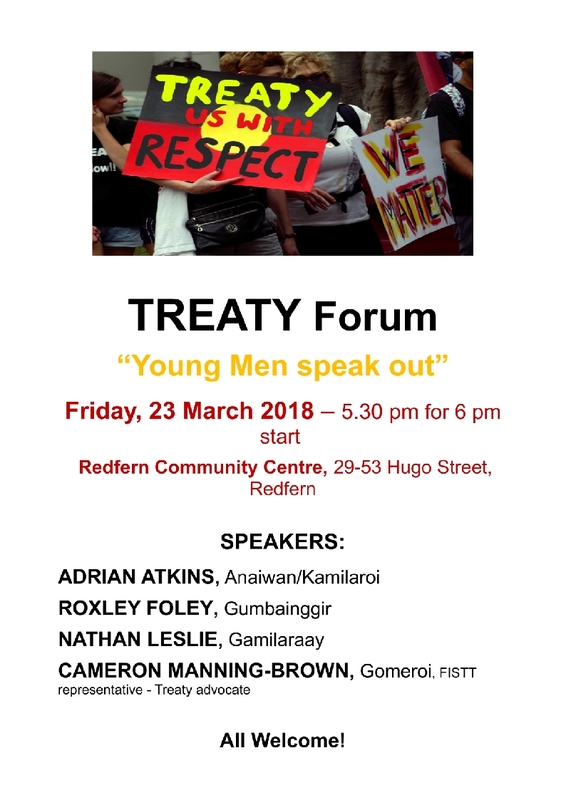 This forum offers a unique opportunity to hear directly from Aboriginal women from the Northern Territory about their experiences of life under the Intervention, their struggles against injustice and their vision for a positive future. The panel will be hosted by Prof. Larissa Behrendt, Chair of Indigenous Research at UTS and Director of Research at the Jumbunna Indigenous House of Learning, UTS. Pat Turner - An Arrente woman with many years experience campaigning for Aboriginal rights and working as a senior public servant, including as Deputy CEO of Centrelink and CEO of the Aboriginal and Torres Strait Islander Commission. Pat is currently the CEO of the National Aboriginal Community Controlled Heath Organisation. Nancy McDinny - A Garrwa and Yanyuwa woman living on her homelands near the Borroloola community in the Gulf country. Nancy is an artist, linguist, Elder and community leader who has campaigned strongly against mining developments on her lands. Kylie Sambo - A Warlmanpa and Warumungu woman living in Tennant Creek, Kylie was 14 years old when the intervention was launched and has consistently spoken out about the negative impacts on Aboriginal youth. Kylie is a hip hop artist and played a leading role in the fight to protect her traditional lands at Muckaty from a nuclear waste dump. ...This is the second in a series of exhibitions that witness and discuss The Intervention and Australia’s ongoing human rights abuse. The first exhibition Ghost Citizens: Witnessing the Intervention, was presented in 2012 to coincide with the Sydney Biennale and shown in Sydney (XAP), Project Contemporary Artspace Wollongong, Counihan Gallery, Melbourne and NCCA, Darwin. ... Some of the original artists have been joined by a growing band of artist activists. The Northern Territory Intervention: Aftermath! ... Fourteen essays by scholars from Australia and Germany examine (historical) contexts and discourses of the Intervention and subsequent policies impacting Indigenous Australia since 2007 from the perspective of diverse academic disciplines including history, sociology, law, Indigenous studies, art history, literature, education and media studies. They invite readers to engage in the debate about human rights, about Indigenous self-determination, and about the preservation of Indigenous culture. - 9 Years of Racist shame! Jenny Munro, Wiradjuri Elder, founder of the Redfern Aboriginal Tent Embassy, and tireless activist. Uncle Ken Canning, Bidjara Elder, activist, poet, candidate for the Federal Senate. Nicole Watson, Birri-Gubba woman, Senior Lecturer, The University of Sydney Law School. Jason De Santolo, Garrwa-Barunggam man, Senior Researcher, Jumbunna Indigenous House of Learning. Lex Wotton, an activist from Palm Island, who has recently been released from a government gag order. Monique Wiseman, Senior Aboriginal Project Officer, Wayside Chapel, who works at the frontline in Sydney. Gerry Georgatos, human rights and social justice campaigner. Editor of The Stringer.